The Collaborative Summer Library Program (CSLP) is a consortium of states working together to provide high-quality summer reading program materials for children, teens, and adults at the lowest cost possible for their public libraries. 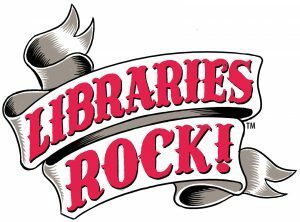 Contact Deanne for info on this summer’s program Libraries Rock! 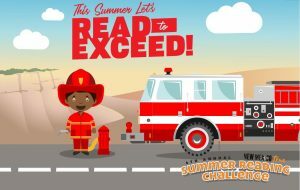 The New Mexico True Summer Reading Challenge is open to all New Mexico elementary school students, ages 5 to 12. All participants submitting a completed log showing they have read six books will receive a New Mexico True bookmark and certificate. Students submitting a log with 12 or more books read alongside an essay explaining why they love New Mexico will also receive a bookmark and certificate, and will be entered into a drawing for one of the grand prizes. 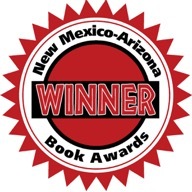 The Land of Enchantment Book Award is a committee sponsored by both the New Mexico Library Association and the New Mexico Council of the International Reading Association which chooses 4 lists of books: Roadrunner (grades K-3), Coyote (grades 3-5), Lizard (grades 6-8), and Black Bear (grades 9-12). Then in April, children and teens across New Mexico vote on their favorite from the list in which they are a part of. The committee is made up of public and school librarians from around the state. The New Mexico Battle of the Books is a reading competition for students in grades 4-8. Children read and meet with their peers throughout the year, then enter a quiz-style battle in which they are asked about books that they have read from the year’s designated Battle of the Books reading list. The New Mexico Battle of the Books encourages the youth of New Mexico to read high quality literature, have fun, collaborate with others, and compete in demonstrating their knowledge of books. New Mexico Book Coop is New Mexico and Arizona’s largest non-profit cooperative organization featuring New Mexico and Arizona books, publishers, and authors. 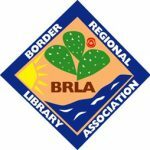 It is a partnership of over 1,500 publishers and authors who are interested in showcasing and selling books about New Mexico, Arizona, and the Southwest. Southwest Books of the Year is Pima County’s guide to all the books published during the year, both fiction and nonfiction, with a southwestern setting or subject. Our panel of subject specialists review the books we receive and pick the ones they think are the best. 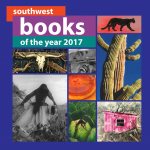 Their choices are published in our annual publication, Southwest Books of the Year: Best Reading. The Southwest Book Awards Committee coordinates the selection of the annual Southwest Book Awards. The chair contacts publishers to solicit books for consideration and convenes the committee that examines the books submitted and selects the winners. Every year, a list of books representing the literary heritage of the 50 states, the District of Columbia and the U.S. Virgin Islands is distributed by the Library of Congress’s Center for the Book during the National Book Festival. Click on New Mexico to see our picks. In Which We Narrow the Field Further. Celebrate Children and Connect Them to the World of Learning Through Books!